Full okoume plywood; a recognised species for demanding conditions. 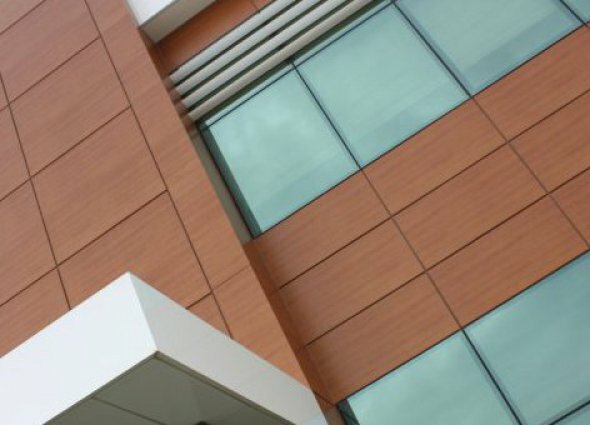 This product is constituted by veneers especially selected for façade applications. This product is manufactured in our factories in Gabon from timber harvested in certified forests. The product is available in FSC 100%. Okoucent skidding also carries the KOMO label (Holland) and complies with BS 1088 requirements. Okoucent bardage is available in bonding class 3 (exterior CTBX).